"The 3x3 Crossover" - Driving youth towards a higher education is an annual 3on3 scholarship fundraiser tournament. This yearly event is open to all females who want to compete in an all day basketball tournament in their respective division while giving back to the basketball community. The purpose behind "The 3x3 Crossover" is to raise awareness for youth to use basketball to pursue their career goals (dreams) at the College and or University level, while raising money for our Scholarship Fund. Our tagline is: Driving Youth Towards a Higher Education! g.a.b strongly believes in post-high school education and knows the financial pressure a student faces. 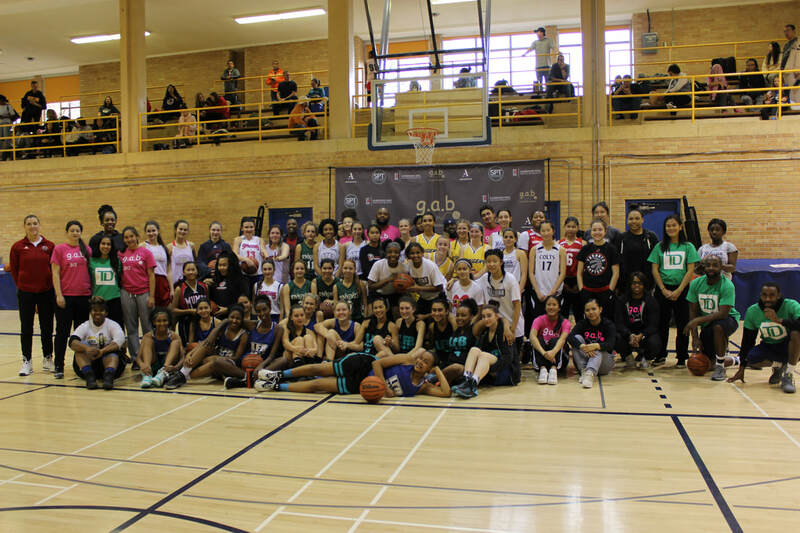 "The 3x3 Crossover" aids in delivering our message while providing competition, and giving out scholarships to those who have applied and met our criteria. Continues to demonstrate a love for basketball by either playing on a varsity basketball team, playing basketball intramurals or supporting the game through coaching, reffing, volunteering or is able to demonstrate a committed desire to continue with basketball while in their first year at College or University. Proceeds raised will be donated to g.a.b’s Scholarship Fund.